WOONSOCKET, R.I. — A new MinuteClinic walk-in medical clinic has opened inside the CVS Pharmacy store in San Francisco, Calif., providing the community with convenient access to common health care services. The clinic is the first MinuteClinic location in the city of San Francisco and will be open seven days a week with no appointment necessary. It will provide a wide array of high-quality, affordable wellness services for patients ages 18 months and older. 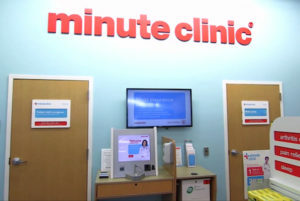 MinuteClinic is the retail medical clinic of CVS Health, the largest pharmacy health care provider in the United States.